• How she takes four months off a year (and doesn’t lose clients or revenue). We say this a lot, but this is another must-listen episode for anyone who wants to grow a successful writing business. Click the play button below, or scroll down for a full transcript. 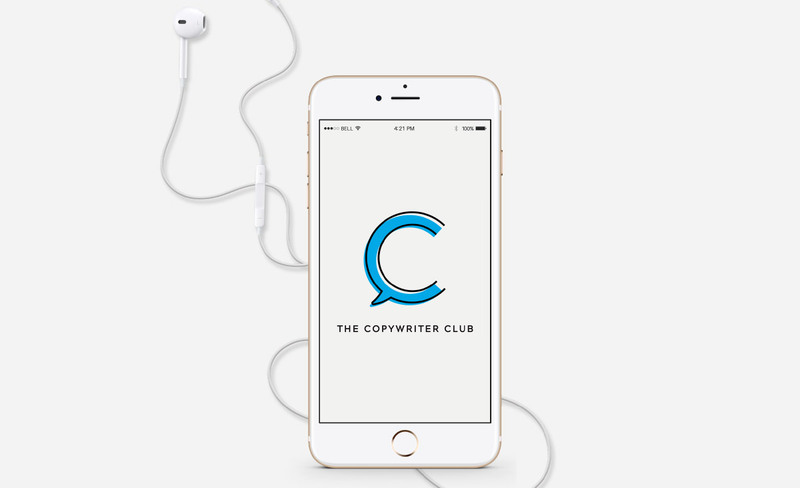 Rob:Before we get to this week’s interview, we want to tell you about The Copywriter Accelerator, a new 12-week program designed to help newish copywriters get serious about their business. This isn’t a copywriting clinic. Instead, we’ll work with you to improve the business side of your business, things like your onboarding process, choosing a niche, building a brand, and being a smarter business owner. This isn’t a video course. It’s hands-on training with personal access to both Kira and me. To learn more, go to thecopywriteraccelerator.com. Now, on to the show. Rob: You’re invited to join the club for episode 32 as we chat with freelance copywriter, Sarah Grear about writing for healers and creative souls, how she landed a speaking gig at Social Media Week, working with her coach and a team, and taking branding vacations. Kira: Hey, Rob. Hey, Sarah. Sarah: Hey, guys. I love it. Rob: We’re excited to have you. Kira: I think Sarah, a great place to start, and this what I’m actually really curious to know, where did you come from? What were you doing before you started your copywriting venture? Sarah: Cool. Yeah. I totally want to share my story with you. Before I do that, I just really quickly want to acknowledge both you and Rob for putting together this amazing podcasting group. I just want to say when I first started getting my copywriting business going, I actually, the number one referral source for my business was other copywriters, and I don’t think that gets talked about enough, so part of the way I build my business is what you guys are creating, so I’m just so grateful for communities like this, and I just wanted to say thank you for that. Rob: Thank you. That’s nice of you to say. Sarah: Yeah, pretty much everything under the rainbow I got my hands into. One of the things that happened was I actually read the book, The Well-Fed Writer by Peter Bowerman. When I read that book, I started to fall in love with the whole online marketing world and I was already doing some travel blogging, so I was telling stories online, and then I realized, “Oh, if I pivot this, I could actually start telling other people’s stories and get paid for it handsomely”, so I was like, “Yeah. I’m game for that.” When I found out that I could do the online writing, I shifted to copywriting and just really fell in love with and became addicted to the whole marketing world as it does, and since then, I’ve just been building relationships with people, building relationships with my clients, and my business has grown from giving a lot of value to people along the way. Rob: That’s really interesting, so you’ve actually got a pretty specific niche of people that you target. At least from what I can tell on your website and the things that you do on Facebook, you target, let’s call them ‘Creative souls’. Tell us a little bit about how you came up with that as the place where you really wanted to focus your efforts? Sarah: Yeah. I work with mainly creatives and healers now, but when I got started, I wanted to focus on just entrepreneurs in general. When I looked at when I had two years in business, I had a lot of historical data to look back at, and I was like, “Oh, I really love working with these creatives and people who fall under the healing umbrella”, so it could really be anything from I’ve had clients who teach law of attraction, so the self-care type of healing to people who also are coaches and they’re health coaches, all different types of healers. I just realized that the more I learned about what they were doing, I just fell in love with it and decided to focus in that area. It’s funny because I didn’t come out of the business womb like knowing exactly who my ideal client was, and I think that’s okay to give yourself a couple of years to experiment and figure out where you want to focus, and then look back and say, “What was the most fun for me?”, and that’s how I landed on those ideal clients. Then, over time, I started out writing websites, just general home about sales service page, whatever contact page, whatever people needed, and then I really fell in love with the copy conversion and doing launches because I realized that it was directly tied to their revenue, and when you directly tie what you’re creating to the outcome of them getting revenue in their business, it changes the game. They’re willing to invest more, and I priced myself out of doing websites now because I started at a certain price, and now, people don’t necessarily want to pay that just for a website when they don’t see the outcome of getting leads and getting sales and all of that which is totally fine for me. I still throw it out there. If they want to hire me to do the website, great, but now I realize people are way more willing to invest in their launches, and so I focus on that. Kira: That’s interesting. I feel the same way with websites, so I’m curious to know what you were charging if you don’t mind sharing with websites that priced you out of that market just because I know there are a lot of copywriters that are working on websites or want to get into that space, and they may appreciate that frame of reference. Sarah: Yeah. Of course. When I first started, I remember I was doing about pages for like 375. $375, and I would do three meetings, two revisions, and then slowly, I got it to the point where people are paying for an about page for 575, and eventually, I had to phase that out too. I feel like people … When I started to phase that out, it changed to charging between 1,500 to 2,000 for up to five webpages, then I just couldn’t do that anymore, so it got to the point of charging 3,500 and up. Sarah: That was like the minimum to get started with me in around four pages, and even then, people are having a tough time swallowing that, which is fine with me. Rob: Yeah. It’s a good place to be when you charge the rates that you like and you can take the clients that you want and turn away the others. You do some interesting things with the way you talk about the packages that you have of your services, and you call them ‘Branding vacations’. Tell us a little bit about the thinking behind that and why you phrase it like that. Sarah: As I’ve shared earlier with the travel blogging, I really looked back at my own personal experiences to inform my brand storytelling, and a big part of that was travel, so I also knew that that really appeals to my ideal clients. They love the idea of travel. Like anytime I ask a room of people, “Who doesn’t love travel here?”, nobody raises their hand, which is a confirmation for me that I was on the right path in putting together those packages, so I positioned in this branding vacations because I do work in the intensive style where I try to get things done in three to five business days, so for me, it was like it really was like going on a vacation. I got to focus on one or two clients at a time and I always let them know like “It’s just you and I for this period of time and we get things done quickly so that you can go ahead and launch it as soon as possible”, and they love it. Kira: I’m really drawn to your packages as well because like everyone else, I like vacation and I actually was ready to purchase it because it’s such a great brand and it creates the right vibe and very inviting. How do you run intensive style projects? I have no idea if that would even work for me. I’m sure it wouldn’t work for everyone, but what happens behind the scenes to make that work and successful? Sarah: Yeah. I have a team who helps me schedule the projects. What I do is once I know somebody is interested in signing up for a branding vacation, then I have them put down a deposit to hold their space, and I give them their intake forms right away, and then we have our project start date, our revisions date, and then our project draft date, and between those, they turn their intake forms in before we meet, we show up for the first call, go over them between the first and second meeting. I write the first draft. Something I do that’s a little unusual for copywriters is I do live edits, so we’re in the Google Docs together. Rob: Yeah. It’s definitely not for me. Sarah: I get that, but for me, I absolutely love the co-creation process, so that second meeting, we’re on a live call together, I take the feedback that they gave me, but most of it’s done on the call. Here’s the thing. I’m saving myself time by doing most of the revisions on the call with them, and in a very focused hour and a half. Sarah: For me, it really works and it’s always worked, and I’ve done it so many times. Then, the third call is really just tweaking everything and pretty much live on the call, and then I’ll give it to my team after the third call, and in between, my team is helping me on the back end writing the copy. Then, on that third call, I give it to my team. They do a final sweep. I always go in and do the last sweeps because I like to keep the quality high and make sure that all the things that we talked about were taken care of. The way that I communicate it with my team is I actually have it recorded on Zoom, and it goes directly to Dropbox. As soon I get off the call, it starts converting it to Dropbox for me, so they get the recordings. Rob: Let’s talk about your team. Who is on your team or what are the positions I guess of them helping you out on your team, and what is the cost of that? How does that figure into the package? I still struggle to give her … I would call her my ‘Project manager’. She helps me with the systems, but she also does the writing, and I’m more or less training her as we go because I still need to give her the frameworks to write the copy like she, and I’m a lot more familiar with the strategies, and she’s slowly learning them as we go. The way that I break it down is my business manager. I just pay him for a said amount of hours every month. I think I spend up to $200 with him every month, and then my project manager, she gets between 10 and 20% per project just depending on how much she’s doing, so it’s a percentage. Kira: I want to hear more about the live edits. Rob mentioned it’s not for him. When you mentioned live edits, I freaked out as well, but it might be for me. I’ve never tried it, so what would I have to know or be prepared for in order to do a live edit? I mean, what are some tips that you could share with us? Sarah: For me, I try to get the first draft as far as I can, and when we get on the call, we’re just inside the Google Doc. Here’s one thing, Kira that you and I have talked about and I think it makes a big difference is I like being in front of camera, so not only are we looking at the Doc, they’re also seeing me. I have my office like all set up with candles and flowers. Like I am legit into this. Sarah: For me, I really love the experience of it. That’s what it is. I’m trying to create an experience that feels really relaxing and fun for them, and so when we get in the Doc, they are seeing me change the headlines. Sarah: We’re talking about the … I’ve looked at the surveys already that they’ve done with their clients, so we’re talking about making sure the language hits the mark for their audience, and we’re line by line just reading it through. Some clients want me to read. Sometimes they want to read. Some just want to read on their own, and then they’ll put their cursor where we’re at so I can see what part they’re talking about, and they’d go in and do it line by line. Rob: Interesting. You mentioned that you like to set things up to create an experience. What are some of the other things that you do in your copy practice to create an experience for your customers or to make that interaction with you different? Sarah: Another thing that I do is I’ve started taking on a little bit of the project management myself, so a lot of the times when I get a client, I love them so much because their whole marketing plan is usually in their head, and I’m like, “It’s really beautiful, however, we need to get this done on a Doc so that we understand all the things that you understand so that I can create things and turn them around quickly”. Honestly, it’s a little bit selfish. I don’t want to have to answer 50 times about where the link is for that Google Doc for the webinar registration page. That’s just not my jam. Kira: What is this launch map look like? What are you creating and what platform are you using to create it? How are you extracting it from them? Like you said, it’s usually in their head, so have you developed any type of method that works really well for that process? “How many sales pages are there? Are there different versions of the sales page?” Getting all those answers upfront, and then I just interpret it into the map, and the map itself actually is inside Google Drive. There is an extension called ‘MindMap’, and you can use that to create the map inside Google Drive, so it’s a pretty amazing tool and it just lets you lay everything out. Rob: When you’re talking about this process and scoping it out, is that before a customer is opted into a package or is that after? Do you adjust the cost of your package based on what the feedback is in that call or does this call happened after they’ve chosen what they’re going to do with you? I mean, I don’t let it get out of hand. If there’s a lot of requests, then I’ll say, “Hey, can we do this add-on, this little bit of extra custom work and it’s outside of our project scope?”, but for the most part, I try to just include everything in the price from the beginning. I try to also explain my value to them and what I do differently than other copywriters like with the live edits and all the things we’ve already talked about so that they get the fact that in a way, I’m almost like a coach, like I’m not just there to write their copy. I’m going to help them through all of the pieces they need to get the launch happening as quickly as possible. Rob: Yeah. I love that idea of sending something right after the estimate so that they feel like you’re already working on their projects. That’s just a great idea. Sarah: Yeah. It’s super fun. Kira: Yeah. Sarah, I know you’ve mentioned you go above and beyond for your clients and have loyal clients. What else do you do to go above and beyond and really even attract these opportunities? Speaking of opportunities and mastermind opportunities, why is that working for you when it may not for other copywriters? Sarah: I always laugh about having a business. I really think that creating strategies, doing metrics, having systems, these are all really great things to get clients, but honestly, I leave … There’s a couple of things. Because I work with all these healers, I’m a little bit woo-woo myself, so one thing I do that I don’t hear a lot of people talking about is I do leave a little room for the magic of like the Universe to bring me opportunities. I just do that by showing up as I am with a lot of presence and creating these fun experiences, and then I get invited to do things because I stand out. Kira and I talked about last December, I spoke at Rick Mulready’s event. It was me, Pat Flynn, Amy Porterfield, and James Wedmore, and Sarah Grear, and I was like, “Woah, how did this happen?” You can’t plan for that. There was no strategy. It was I wrote Rick’s sales page, I showed up on camera. he noticed that I had good presence, and then invited me to speak, but a lot of times too, I would say “It’s not the owner of the company or like the main person that does the invitation or suggested my name”. I’m sure it was somebody on his team, so don’t … For me, when I show up in a project, I support everyone, not just the main person who I’m working for, but the project managers, and the designers. I support everybody as much as I can because they’re really the ones who are going to drop your name when the time comes because people like Rick, people like James, they all really depend on their team to think of the A-players and bring them around. Rob: You mentioned speaking at that event. You also spoke at Social Media Week. Was your invitation to that similar or did you do something else to get yourself up on stage? Sarah: That one was an invitation from my dear friend, Jaclyn Mullen, and she and I, we just hit it off. We met at a networking event. I used to do a lot of in person networking, and I would say 80% of my business used to come from in person networking and all these relationships, so I was a part of different marketing groups, and then I would actually make a effort to meet with those people in person. Like we would all be online in a Facebook group and I’d say, “Hey, guys. You want to do a meet up? Let’s just hang out”, and it would be open to everyone, and so I really allow myself to get in front of a lot of people and just hang out with no expectation, and then Jaclyn turned around and invited me to do Social Media Week. As soon as she invited me, we came up with a topic in seconds. We were just really excited to collaborate and we actually talked about storytelling to story selling which was really fun. Kira: I love that you mentioned that you leave some space for the magic, and then opportunities present themselves to you, but what can we do as copywriters to increase these opportunities and increase the magic? Do you have any tips for when we actually show up to conferences or to speaking engagements or any type of activity that has the possibility of more work? Sarah: Yeah. It’s funny because law of attraction stuff can get very cerebral, but I also believe that you can’t just have these ideas of “I want to be a millionaire”, and then not do anything to make it happen. I love the idea of yes, leaving things to magic, but there is the intention behind that. Right? I would say for people who want to allow more magic in their life, you’ve got to be willing to show up, so if you go to meet ups in your local area and you meet people, if you spend more time in Facebook groups and really connecting with people on a deeper level, these things make a big difference. I mean, I built my business mainly off of Facebook in my relationships with other copywriters, my relationship with launch project managers, and my relationship with graphic designers. That’s really the secret sauce to my business right there. Rob: Sarah, I want to change gears just a little bit here. You offer a free course. Tell us about the logic behind creating a course, the effort that went into it, and the result that that’s had in your business. Sarah: Oh my goodness. Yeah, so that. That whole course thing. Sarah: I did … Yeah, that. Kira knows. She’s I think in the middle of all of this right now. Private client business to me has always been natural and a lot easier to build and probably because I love connecting with people so much. Sarah: Yeah. Yeah. Basically, I went from having a team of three people to literally, I had 10 people on my team, and I wasn’t even paying half of them. All of them just wanted to support me to create this course. Insane. Right? Sarah: Yeah, so I followed that path. All those doors were opening, and I was like, “Yes, I’m going to go down this path. I’m going to create a course, and I’m going to scale my business this way”, but when it came to the promotion, I wasn’t as good as promoting myself as I am my clients. It’s that irony, like don’t go into the chef’s kitchen because it gets messy fast. Sarah: It’s interesting because initially, I created that course to scale my business and get out of private client work, but when I realized that that wasn’t happening as quickly as I thought it would, I pivoted back to the private client work. What’s amazing now I’m so glad I did create that course is I scaled it back to be an evergreen offer, so someone can sign up for the free course on my site, and then they’ll get a series of emails, and they can buy the evergreen offer now. What’s really cool is all those people who keep coming to me and they don’t want to pay 3,500 and up for their websites, I have my team send them a back door offer to get into the course, and people are buying it, so it’s creating value now in a whole other way that I didn’t even imagine. Kira: It’s interesting. Do you mind sharing how you’ve priced that course and how many people are buying it per month, those numbers? I know I’m throwing it at you. Sarah: I’m probably selling three to five seats per month in the course, and I think it’s priced at 297 right now. Some people take the free course and they convert into buying it on their own, and then some of them are sent to that page by my team after we have that first discovery call and I realize they’re not ready to invest at the level that my private clients are typically, and then they go and buy it from there. Kira: Yeah. What advice would you give to copywriters who are creating a course or thinking about creating a course based off of your experience? Sarah: Yeah. It’s interesting. When you’re first getting started in the whole course creation thing, one thing that I did, for my promotion, I did run Facebook ads to it and it was at a much higher price. I think I was charging 997 for it when I did the full on promotion before it was evergreen, and I did convert people into buying it at that time just not at the level I thought I would, so I invested a ton of time into my course and didn’t see the results I wanted, and that was really discouraging because … There’s a saying, “I never fail. I either win or learn”, and I feel like I learned a lot. Sarah: Yeah. I didn’t do enough education on my part to let them know like this is something you need for your site, and so that was the tricky part for me that tripped me up, really just not knowing my audience enough to sell them a course that would build the foundation for their business. Honestly, if I went back and did it all over again, I wouldn’t just focus on the copywriting. I would teach them all the other stuff I know about business building too and what I know they need to build out their business. Those are the things I would change for sure. Then, the other advice I would give is just to start small and scale it from there which I teach that when I speak too is like don’t look at somebody’s launch that’s like a five-day challenge that turns into a webinar, and then turns into the cart being open, and all these crazy things. Just try one thing at a time and see what actually gets traction, and then lean into that piece instead of trying to be all over the place because you see these other big launches happening and you think you can match that or you don’t have the team to do it yet. Rob: I love that advice. We have spoken with another writer, Maggie Patterson who’s going to be a guest in an upcoming episode, and she basically said something really similar that courses are really hard. They’re hard to put together. They require a lot of promotion on the back end, and it’s not really free income, like you really have to work at keeping it up-to-date and working it, so that feedback in your experience there I think is really enlightening. Sarah: Thank you. Yeah, and I love Maggie. Huge fan of her. We’ve been in each other’s orbits for a while now. Rob: Yeah. She’s great. I want to ask you about what you’re doing with Facebook Live. As I was stalking you in the last few days getting ready to chat today, I noticed that you do quite a bit of online video with your Facebook page. Tell us about that and just your approach, what it’s done for you, what kind of attention it gets, why you’re doing that. Sarah: Yeah. For Facebook Live, I really only focus on it if I’m launching something and I want to get some attention on it, otherwise I don’t regularly do it. At some point, I may think about consistently showing up on Facebook Live. What I’ve done so far is really just to teach lessons on there if I’m offering something to my list, and then I just see the offer during the Facebook Live. There was a time when I was offering a group copy coaching program, so I went on and talked about what worked for me and why I hired a coach and why I wish I would have done it sooner and stuff like that. Then, I’ll just go on as kind of a reminder to people and talk about subjects that are adjacent to the promotion that I’m doing, and that way, the people who are on my list will likely see it or I’ll point them to it so that they can see my own experience. When I do Facebook Lives, I try to share things with people that let them know like, “What I’m asking you to invest in, I’ve invested in myself, and here’s my take on it”. Kira: Very cool. I want to shift gears again because I really want to ask you about your schedule, and I heard you talk about this on a different podcast and it caught my attention because I know you have these intensives, so how do you build a schedule around this intensive model so that you still have a life and you have space to be creative, and how do you make that work because that’s definitely not my strong suit? Sarah: Yeah. I’m working on a thing called ‘Lifecation’. Kira: I like it. I’m sold. Rob: You definitely need to talk about that as our next question. Sarah: The short and long of it is that I basically raised my rates to charge what I’m really worth, started focusing on the launches way more than anything else like put all my focus, like double-down on that, and then I just leaned into my team more, but I had obligations to my family, and that was more important to me, and so I made a way to … My priority shifted, and as soon as I kept my focus on getting the team set up to do what they need to do, getting them delegation in my inbox, having them with all the canned responses they needed for onboarding clients, all those things, I was able to take a lot off my plate. Now, last year was a little mixed and matched, like I didn’t have much of a plan of how that time was going to happen. I just made it work as I went and blocked out schedule as I needed to. Then, this year though, I have it batched a little differently. I always take the month of August off because it just makes sense to my life and I realized through the first four years in business that it was a slower time for me. I was like, “You know what? I’m just going to take it off. If people want to work with me, they can wait. If they can book me before, they can wait after, and that’s fine”, or I can send them somewhere else. Rob: Interesting. We’ve heard a lot of ideas over the last 30 plus episodes that I want to steal, but taking the month of August off, I think it’s my new favorite. Rob: I definitely have got to do that. I got to figure out a way to do that. I want to ask very specifically about your launch programs and what that includes and how much you’re charging for that. Are you charging in addition to a project fee, do you get a percentage of the sales? Have you worked with clients that are allowing you to do that? What does that look like? Sarah: No. It’s a flat rate that I charge based on the project scope. It usually lands between three and $8,000 per campaign, and that would be anywhere from doing that mix of challenge with webinar, leading to sales page, and also all the pre-imposed cart emails. I even do the pre-imposed cart Facebook ads, so I really get my hands into all the pieces of the launch. Then, for clients who need more than that, I can add on, but that’s usually what a launch looks like and how I help them. Kira: Sarah, I know we’re wrapping up here and almost out of time, but I feel like a lot of what you’re talking about is you’re in your fifth year, you now have a team, you’re established. I think it’s great to hear just that you’re in such a great place in your business and able to take the month of August off. For copywriters that are listening and they want to get there as well, maybe they can’t hire an entire team right away, but what would be almost like a little baby step they could take to move in that direction? I mean, that’s how I started. I literally hired somebody for five hours a month. I think I paid her $16 an hour and she was local to my city, and she helped me just with the onboarding clients. That’s a great place to start. Also, I’ll give you guys a tool tool that I used, and I still use to this day is called ‘Streak’. It’s a free CRM that integrates … Say you’re at Gmail, so you can totally use that tool to track clients, and I think a lot of people who even tape money on the table by not making sure they stay in contact with their clients from the start of project to the middle, to the end, and then the recap after the launch. You just got to hit … Make sure you stay in touch with them on all those points and use something like Streak to track it so that people don’t fall by the wayside. Rob: I’m going to have to check out Streak for sure. Kira: Yeah. To recap, can you just comment on that? The recap is actually jumping on a call, coast launch, and breaking down the entire launch, or what does that look like? Sarah: Yeah. I position it as a bonus call and I send them an email saying, “Hey, give me your feedback and I’ll get with you on a bonus call and we’ll talk about your results and how to amplify your sales the next time around”. Rob: Sarah, I have one last question for you as well, or maybe it’s not so much a question. It’s a comment, but I think you deserve some attention on the fact that on your website, you talked a lot about giving back, and you list several organizations that you either donate time to or money to, and I think maybe a lot of writers do this sort of thing in the background. Some may tithe to their church or to their programs, whatever. Other people just want to give back to their communities and they’re involved in local theater, that kind of thing, but I love that you have this on your website. Tell me a little bit about thinking behind sharing this and just being so upfront about it. Sarah: Yeah. As you mentioned, I’ve been involved with the local Y. There’s a group called 826LA in Silver Lake that helps kids become writers, and all of those things, I really have a lot of heartfelt clients who lead from the heart and not from the head, and so I know that they would love to see them supporting my business and supporting people also in the community. That’s part of the reason why I put it up there, and also just to raise awareness around those organizations because I think they’re top-notch and I love what they’re doing and they deserve to have some air time. Rob: Yeah. I agree. I think they’re a couple of organizations that I’ve been involved with and I’m thinking after seeing this on your page, it’s like, “Maybe I got to give them some promotion on my website”. Rob: Not that a lot of people go to my website to see that, but those are worthy causes and it’s nice to share that with the world. Sarah: Yeah. Thank you for mentioning that, Rob. I really appreciate it. Kira: Sarah, we are out of wrap, but where can we find you online? Sarah: Yeah. If you go to Sarahgrear.com, you will find my website in all its glory. Kira: Thank you so much for hanging out with us. I have been taking notes. I have so many different ideas about just how to enhance the client experience, so thank you, Sarah. Rob: Yeah. Thank you, Sarah. Sarah: Yes. You’re welcome. Thank you, guys. I appreciate you both. But there are two things that we really like about Airstory that you won’t get with Word or Google Docs. The first is the way that it lets you organize information into cards.